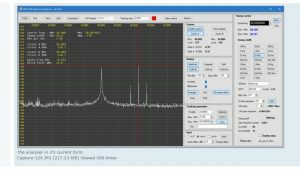 Steve Andrews contacted the SDRplay forum recently to share ideas for a new Spectrum Analyser tool for use with SDRplay RSPs. A lively discussion started, with a lot of enthusiasm and encouragement from the user community, for something optimised for these devices. Steve is progressing well with the software development and hopes to have an Alpha release of the basic tool available during May. You can follow the discussion, review progress and add your comments by joining the SDRplay forum and going to: https://www.sdrplay.com/community/viewforum.php?f=12 where we have created a section especially for the Spectrum Analyser topic.